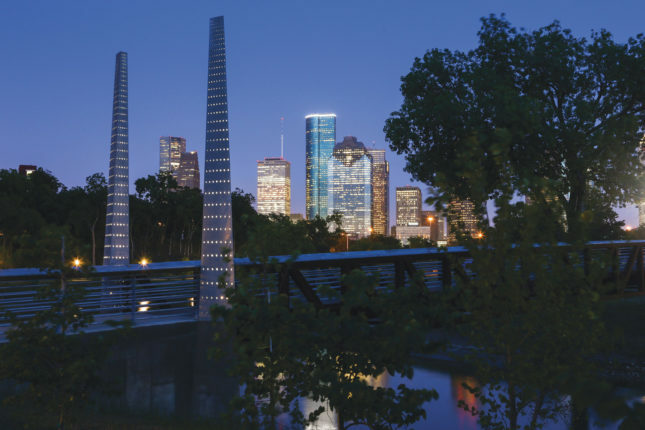 Houston’s green renaissance set the stage for a recent conference of landscape architects, designers, planners, institutional leaders, and policy makers who convened at the Museum of Fine Arts Houston on March 11. 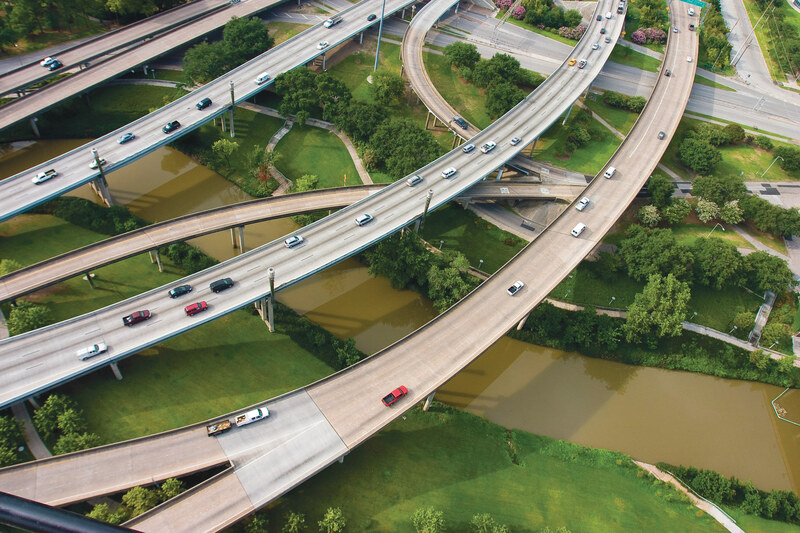 Hosted by Washington, D.C.–based non-profit The Cultural Landscape Foundation (TCLF), Leading with Landscape II: The Houston Transformation focused on how landscape architecture is changing the city at a scale not seen in the U.S. in a century. the iconic architectural monuments connected by said infrastructure, and today’s emerging landscape architecture that is stitching together the natural and built environments. 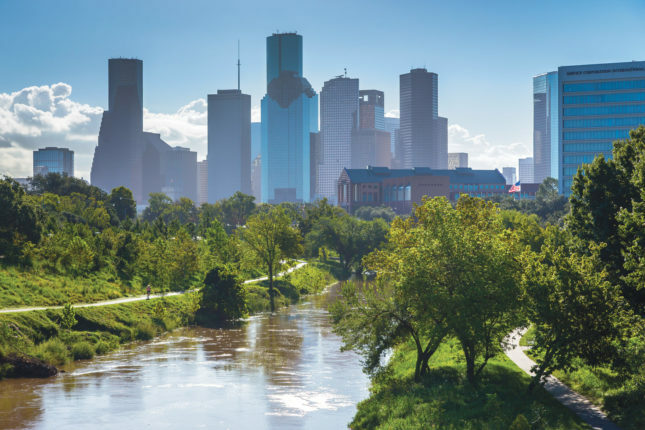 Conference discussions looked ahead to the ambitious new plans for Bayou Greenways, Memorial Park, the Menil’s Campus, and the Houston Botanic Garden, while examining the successes of Discovery Green and Hermann Park. Issues of street-level design for pedestrian experiences, equity, inclusion, and funding were also brought to the forefront to improve upon the city’s connectivity and accessibility. “As a little girl, I didn’t go to those parks. We had a square patch of grass. How do we reach out to folks to experience the natural environment?” Taylor asked. Her presentation led to the question: How are we to be stewards for the next generation? 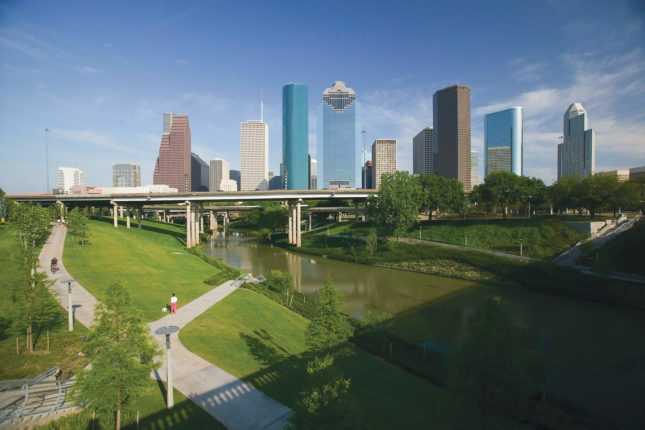 The foundation also hosted expert-led free tours March 12–13 at more than 30 iconic sites that demonstrate Houston’s legacy of green and public spaces, including Buffalo Bayou Park, Sesquicentennial Park, the Menil’s Campus, Gerald D. Hines Waterwall Park, Sabine Promenade, and Discovery Green. “This is my city. I love this city,” Parker said. “This is a city of big ideas and we tackle big things in big ways.” She continued to discuss the importance of the Port of Houston, the Astrodome, “Houston” as the first word on the moon, and issues including infrastructure, parks, preservation, and public art. She also elaborated on the Bayou Greenways Initiative and how it touches every community in Houston by creating an interconnected green web. As great cities attract intellectual capital, it also needs amenities and attractions for its citizens.